Since 1982, we have provided our friends residing in our coastal communities with upfront, friendly, and honest services while maintaining a professional attitude, provided by a trained staff and experienced veterinarians. Apalachicola Bay Animal Clinic is a full service veterinary medical facility, located in Eastpoint, FL. Dr Hobson Fulmer and his courteous staff at Apalachicola Bay Animal Clinic seeks to provide the best possible medical care, surgical care (including spay & neuter)and dental care for their highly-valued patients. We are committed to promoting responsible pet ownership, preventive health care and health-related educational opportunities for our clients. 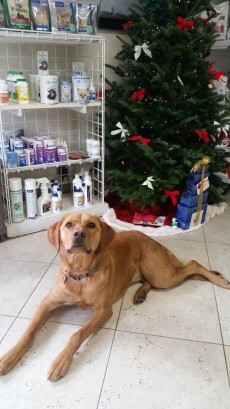 Apalachicola Bay Animal Clinic strives to offer excellence in veterinary care to Eastpoint, FL and surrounding areas. Dr. Fulmer has performed veterinary laser surgery on pets since 2000 and diagnostic veterinary ultrasound since 2001. Please take a moment to contact us today, to learn more about our veterinary practice and to find out more information about how Apalachicola Bay Animal Clinic can serve the needs of you and your cherished pet. Dr. Hobson Fulmer has been practicing Veterinary Medicine in Franklin County since 1982. 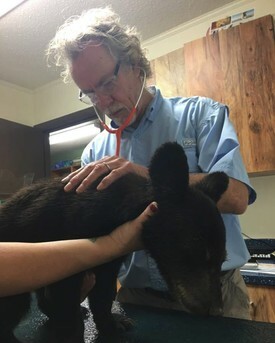 He graduated with Doctorate of Veterinary Medicine from the University of Florida, where he also earned a Bachelor's degree in Animal Science. He also attended Florida State University. Dr. Fulmer shares his home with his dog Snapper and cat S.C. (Snappers Cat). Besides animals, Dr. Fulmer's interest include fishing, cooking, skiing, college football, playing guitar, and long distance running. Dr. Fulmer is a member of the American Veterinary Medical Association, Florida Veterinary Medical Association, Big Bend Veterinary Society, and the American Heartworm Society. He is founder and active member of the Franklin County Humane Society. He has served in many local community organizations: President of the Chamber of Commerce, Little League President, and a Florida Seafood Festival Director. He has been a youth sports coach in little league baseball, football, high school cross country and track. Dr. Fulmer is dedicated to lifelong learning and undergoes extensive continuing education to further advance his medical and surgical skills and knowledge. He regularly attends many courses in laser surgery, ultrasound, dermatology, general surgery, orthopedic surgery, internal medicine, immunology, pharmacology, behavior and radiology. Dr. Marlaina Aleise Nelson is a native of LaGrange, GA, where she met her husband, Phillip Nelson. 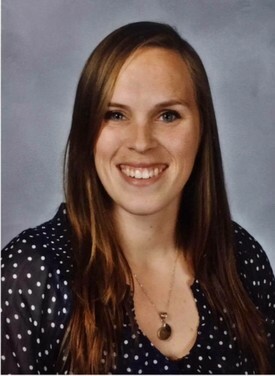 She obtained her Bachelor’s degree in Biology from LaGrange College in 2009 and her Doctorate of Veterinary Medicine from the University of Georgia College of Veterinary Medicine in 2013. Directly after veterinary school, Dr. Nelson commissioned into the United States Army Veterinary Corps, serving four years active duty. During her career in the military, she completed a veterinary internship, was assigned as the Officer in Charge of the Fort Carson Veterinary Center, and lastly selected as the Branch Chief of the Public Health Command Fort Carson Branch Veterinary Services. During her time in the military, Dr. Nelson focused on providing medical care for all government owned animals and pets of military members, acted as the public health expert and liai son for zoonotic diseases. Dr. Nelson continues her service to our country as an Army Reservist with the 7350 th Veterinary Detachment in Montgomery, AL. 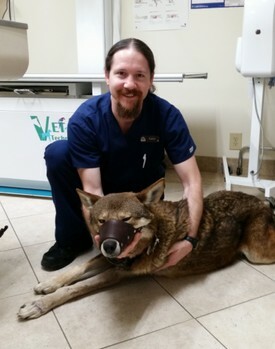 Dr. Nelson has the highest regards for the standards of veterinary medical care and practice guidelines established by the American Animal Hospital Association, which is the elite accreditation that the Apalachicola Bay Animal Hospital has attained. She will provide her high level of dedication, hard work, and values to her clients and patients that have been instilled in her throughout her life, education and career. Dr. Nelson and her husband are accompanied by the newest addition of their family, Corbitt, and look forward to raising him in the wonderful community provided in Franklin County. The Nelson family loves to spend time outdoors and enjoys the welcoming, friendly and musical atmosphere of the area. Gabe has been employed with Apalachicola Bay Animal Clinic since May of 2001. He has 4 cats and 2 dogs. Gabe started out as an Exam Room Assistant then worked his way up to being a Veterinary Technician and was the head Surgery Tech for many years. Now Gabe is a receptionist and is one of the first ones to greet you and your pet when coming to the clinic. Gabe welcomes our clients with a smile and a genuine concern for their visit. Gabe knows that visiting the vet’s office can be stressful, but wants them to know that he is there for them and their pet’s needs. Gabe tries his best to be knowledgeable in his field and to stay up to date with current veterinary affairs. 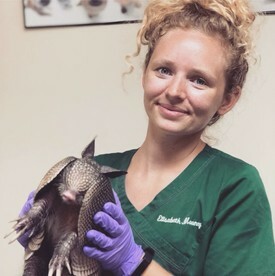 Chris Ann was a great addition to the Apalachicola Bay Animal Clinic team when she joined the end of August 2016, after living in the Panhandle of Florida most of her life. 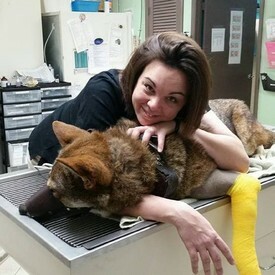 In addition to providing the team with a fun, charismatic, and positive personality, her role is to provide our Client's the best possible experience, which includes scheduling all veterinary needs for your beloved pets, providing insights into all billing activities, and assisting Clients with instructions and procedures after their visit. Chris Ann will treat your pet as one of hers. She cares just the same for our Clients. Chris Ann welcomes all Clients and pets as family, and will prove her care and concern immediately. Chris Ann and her husband are proud fur parents of her parents' Lemon Pointer named Hattie, after their passing. At a young age she was exposed to breeding labs when her parents were in England, and she got to experience that later in life with breeding her Lab and truly enjoyed it. In her spare time, Chris Ann and her husband enjoy going on cruises, volunteering, and spending time with family. 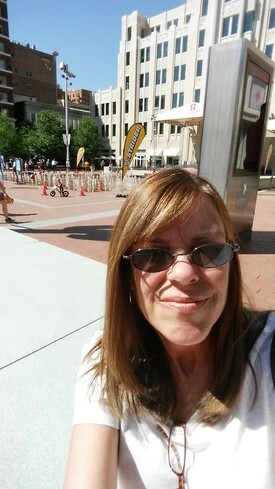 April joined our team October of 2014. April has experienced every position in the Clinic. April is now one of our number one nurses. She lives in Eastpoint and shares her home with her dogs Panda and Nate. April believes in vaccinating your pets, routine blood testing as well as full time Flea & Heartworm prevention. While April loves working with all of the animals that come through our doors, she also loves working with our clients. A trip to the Vet with your pet is stressful in itself. April truly enjoys not only helping your pet but also helping our clients understand what may be going on with their pets if ill and educating them on keeping their loved ones as healthy as they can be. April's favorite part of being in the Veterinary field is the variety of personalities that she gets to meet on a daily basis, whether it be animal or human! In her spare time April enjoys Traveling, anything Historical or Haunted, Antiquing, and volunteering for charities and events. 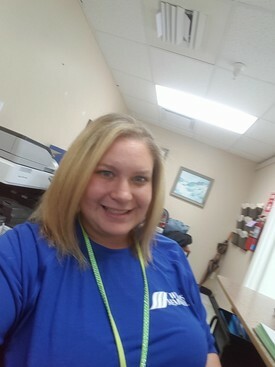 Ashleigh joined our team in August of 2018. Ashleigh has worked in the veterinary service for several years. Ashleigh lives in Lanark Village with her rescued Great Dane fur babies Harley and Lawrence. She believes that all animals, no matter if they're farm animals or domestic, deserve quality health care and spaying or neutering will help reduce over population issues. In her spare time, Ashleigh loves to go fishing, camping, and participate in almost anything outdoors. She also volunteers with several rescue groups. Macy Hatfield joined our team in November 2018. After working a year at Penelope’s Pet shop she came to join us to further her education in animal medicine. She has always had a love for animals of every kind. Her passion and love for animals makes her a perfect fit for our team. She was hired as a kennel tech but is happy to help in any way she can. She has a huge fur family including 4 dogs, 2 cats, a mini pig, 2 Nigerian dwarf goats and ducks and chickens! As a past time she likes to spend time with her family and is very active in her church.